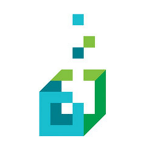 Acumatica is a cloud-based ERP software designed for small to medium-sized businesses. It provides users with solutions for a variety of business functions, such as financials, manufacturing, distribution, field services, and project management among others. 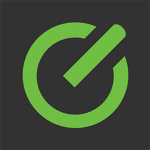 In this article, we cover user reviews and pricing. Ready to get started with Acumatica? View the free product tour. Users who gave Acumatica a positive review like that it is easy to use and can be customized to fit a business’ requirements. Other mentioned that it has robust financial tools and a comprehensive list of features that include report writing, a general search functionality, and more. Users who gave Acumatica a negative review commented that its interface is not intuitive and looks outdated. Some complained about experiencing system glitches, while others suggested improvements to some of its features, such as adding an advanced reporting tool and email automation among others. Acumatica offers flexible licensing options that follow a “pay only for what you use” scheme. They do not publish their pricing information on their website; however, a third-party site claims that it starts at $12,800/year. Interested users may contact their sales team to request a customized quotation. Ready to get started with Acumatica? View the free product tour. How does Acumatica’s pricing structure work? Acumatica’s “pay only what you use” pricing structure charges users only for the resources that they use, instead of billing them for each user access. Their pricing is based on three related factors: the applications that you use, the projected level of consumption given the volume of your business transactions and data storage, and your selected license type. What are Acumatica’s license types? Acumatica offers three license options: Software-as-a-Service (Saas), Private Cloud, and Private Perpetual. The SaaS and Private Cloud licenses are billed annually, while the Private Perpetual license is a one-time fee and has recurring annual maintenance costs. Not sure if Acumatica is the right fit for you? Read our reviews of all top ERP software providers or check out one of these three Acumatica competitors. Integrated CRM and financial system provide a quick start up for integrated management of clients across departments. Easy to navigate through different modules and menus; once you learn how to use features you know how to use them across the platform. Functionality that is quite common (and expected) in other cloud based systems is not available. Clunky email integration, customization is not easily managed without developers (simple page views, etc). It seems like some functionality was added based on requests by clients but was not fully vetted to ensure it checked all the boxes and worked as intended. Technology lags behind other systems; CRM provides basic capabilities, but is not robust as other systems. 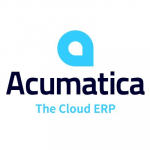 Acumatica offers a solid ERP platform that can be customized to a businesses needs. The system is well organized and is overall pretty easy to use. Out of the box it has good functionality that covers all of the bases you would need to operate a small to medium business. If you have complicated systems it’ll need to be customized so make sure you’re working with a good partner (we use ISM). But if you have complicated processes any ERP will have to be customized. When performing large transactions, the system can be a bit slow. Our dev team says this has to do with how some of the system code it written, I’m told there will be improvements when we upgrade. Though the system has a lot of features out of the box, we have some pretty special processes that have required a lot of customization. As I think is typical for ERPs we were oversold a bit on the basic capabilities. Our implementer (ISM) has been good to help us sort through things and has connected us directly to Acumatica support when needed. The company does fix problems that occur with accounting and database issues. The interface is clunky and hard to navigate. I feel like i’m living in 90’s technology when I use it for reimbursements. As a bookstore manager I wish that I would have known the problem that Acumatica has with grouping sales into kits, as well as separating out T-shirt sizes. For instance, we sell a t-shirt, but each size is a different item code. This forces our online bookstore to sell the items individually as separate icons. It is awkward because the items all have the same image, but a different size.